Italian giants S.S.C. 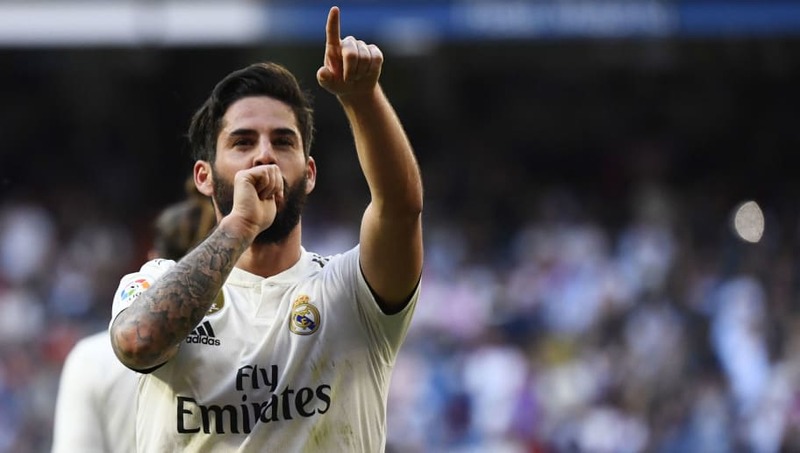 Napoli have shortlisted three Real Madrid players ahead of the summer transfer window, with playmaker Isco sitting at the top of the club's wishlist. I Partenopei are looking to make a handful of big-name signings this summer as they want to offer Juventus a serious title challenge next season, having finished as runners-up in three of the last six seasons. Thursday's edition of Il Mattino (via Calcio Napoli 24) claims that Napoli chairman Aurelio De Laurentiis has shortlisted Spain international midfielder Isco as the club's top priority ahead of the summer transfer window. The 27-year-old has been heavily linked with a move from Real Madrid throughout this season after falling out of favour under former managers Julen Lopetegui and Santiago Solari, although Isco scored after being brought in by Zidane during his first game back in charge. Napoli's De Laurentiis is also eyeing a move for defensive midfielder Casemiro, whose contract at the Santiago Bernabéu expires in 2021. Real Madrid defender Marcelo has also been mentioned as a potential target for the Partenopei, but the 30-year-old doesn't fit the age profile of a typical De Laurentiis signing and any deal for the Brazilian would depend solely on his price. It's unknown exactly how much Napoli will be looking to spend this summer, but they've also been linked with a €30m move for Bournemouth's Nathan Ake amid rumours that Kalidou Koulibaly could be joining Manchester United at the end of the season.